Venipak announces that the number of shipments in the Baltic states increased by more than 50 % during the most intense holiday season. The percentage of shipments increased by 57 % in Lithuania, 45 % in Latvia and 69 % in Estonia. 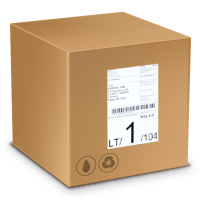 The head of the company Justas Šablinskas stated that a similar number of parcels are recorded every year during major holidays . “Every winter holiday is a very intense time for us. This year we recorded an impressive increase in the amount of parcels delivered. This is a big challenge, but we can be pleased that we avoided any problems and all parcels were delivered to our clients on time”, says J. Šablinskas. A Venipak representative stated that in all three Baltic states more couriers and warehouse workers are employed during this period. This winter we also tested a courier optimisation program. “Every year during this period worker numbers increase by 5 % – 10 %. We employ more couriers to collect and transport parcels, also the number of warehouse workers increase, so the parcels can be distributed as quickly as possible and be ready to deliver”, says J. Šablinskas. “In addition this December we tested our courier optimisation program. With help from artificial intelligence that analysed traffic conditions and busyness on the streets, the most optimal route is provided for couriers. We can see that this innovation has been very successful”, says J. Šablinskas. The head of Venipak stated that mostly small shipments were sent in December. “In December we noted that people are generally sending smaller parcels. Usually it is purchases and presents. Especially high activity is noted from both electronic purchases and high-street stores, because more and more people choose to have their purchases delivered to their homes rather than picking them up”, says J. Šablinskas. “The Pick up point system has been especially busy. It is a network where people can deliver and pick up their parcels at a convenient time and place. December showed us again that the development of this network will continue to be a priority investment for us in the coming years”, says J. Šablinskas. “Also it was the first year that we utilized our Venipak Drive courier network. The project,launched three years ago, gives ordinary people the possibility of becoming couriers and delivering shipments when the addressee is close to their home or work. A large number of parcels were delivered by people taking advantage of this new opportunity. This project will be developed in Latvia and Estonia, because it seems very promising to us”, says J. Šablinskas.